Born in Haarlem into a family of artists, Post was a Dutch painter and printmaker whose father was a master stained-glass maker and brother an architect. Post and his brother first trained with their father but no works by the artist are known from this period. Post was one of the first European painters to travel to the New World. Together with Albert Eckhout, he was part of an expedition organised in 1636 by the soldier and statesman Count John Maurice of Nassau-Siegen to the north-west of Brazil with the aim of establishing a secure outpost for the Dutch East India company. The artists and scientists who accompanied this trip were commissioned to document the landscape, fauna and flora and other aspects of life in Brazil. 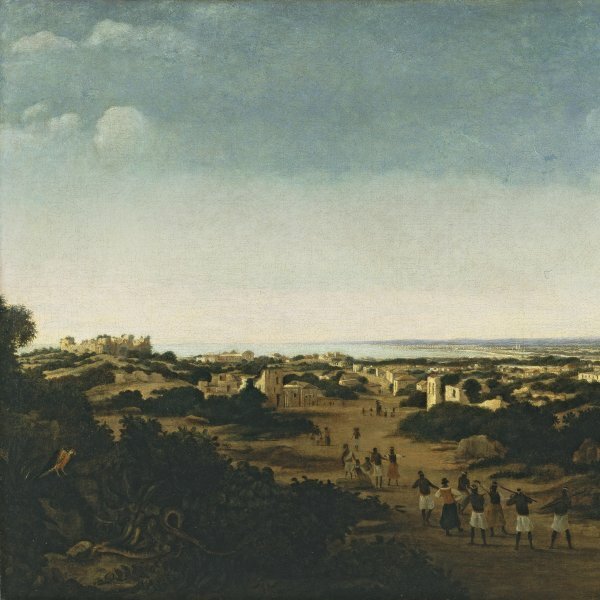 Post’s first known painting, The Island of Itamaraca (Rijksmuseum, Amsterdam), of 1637, was executed shortly after his arrival. It is the first of a series of six painted in situ between 1637 and 1640. All offer a simple, direct vision of the Brazilian landscapes with an emphasis on topographical and ethnographic elements. Post returned to Holland in 1644 shortly after the Count and settled in Haarlem, in whose guild he is registered in 1646. He continued to paint Brazilian landscapes based on his studies and his visual memory and his earlier works of this type conserve the innovative nature and atmosphere of his originals. His only biblical scene, The Sacrifice of Manoah (Boijmans-Van Beuningen Museum, Rotterdam) is located in a landscape of this type. In 1650 Post married Jannetje Bogaert in Zandvoort. Between 1656 and 1658 he held an official post in the painters’ guild in Haarlem. Over the following years his landscapes began to loose their original freshness as he substituted soft tones for more brilliant and saturated ones, resulting in landscapes that were more decorative than realistic. He seems to have abandoned painting after 1669 as no works by his hand are known after that date. Post died in Haarlem in 1680.